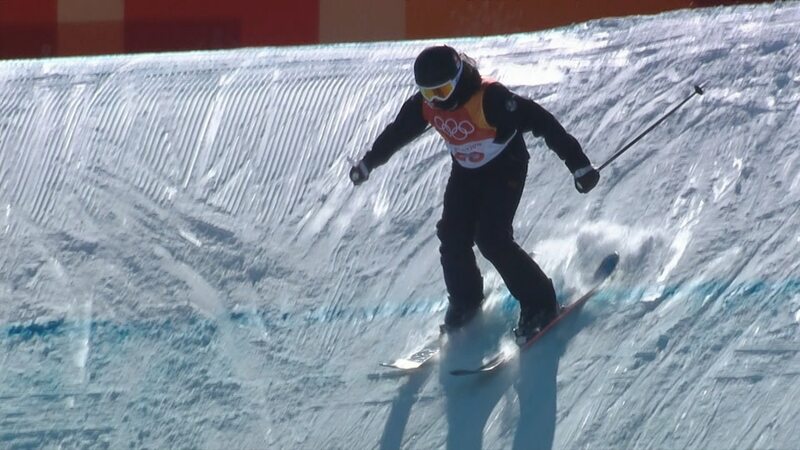 Mathilde Gremaud concedes she does not remember her head slamming onto the slopestyle course during training, or much of anything that happened in the aftermath. Those may sound like telltale signs of someone reeling from concussion symptoms. But the team doctor who checked her out didn't discover any. And less than 36 hours after the wreck, Gremaud was not only competing, but winning a silver medal, as well. "I actually don't remember anything," Gremaud said Saturday, when asked to recall the accident that could've ended her Olympics early. The Swiss skier's story offers a window into the concussion protocol for skiing, which has received far less scrutiny than that in place for, say, the NFL. American athletes Kiley McKinnon and Madison Olsen fell short of gold as they struggled against their Belarusian and Chinese competitors at the women’s aerial finals. Team doctors, not an independent medical professional, have authority to clear an athlete. The onset of symptoms can sometimes take 24 to 48 hours to present themselves. Gremaud gave her breakdown of the accident in the medalists' news conference: "I fell on my back and hit my head pretty hard. I just know what they told me, so I was shocked, and then we skied down. I was crying. I really don't know what happened. I forgot everything about yesterday's training. I got in the ambulance, went to the hospital and got a CT scan and everything was all right. Then, I went back to our place and I had a headache but not that bad." Shortly after the athletes were done speaking, Swiss team doctor German Clenin clarified the sequence of events. He said he was called to the scene of the accident, and he accompanied Gremaud to the hospital for medical scans. Clenin said neither the scans nor his own neurological tests revealed concussion symptoms. He also put Gremaud through neurological testing the morning of the contest and said she showed no symptoms. "She hit her head but she never lost consciousness. That's important to me," Clenin said. "Concussion can be defined as loss of consciousness. She didn't have that. But it could be defined by vomiting, severe headache, vision trouble. We needed to have this time during the night to see if she would develop these symptoms. There weren't any." Gremaud is far from the only skier or snowboarder to hit their head during a training run or in competition during this Olympics season. Iouri Podladtchikov, the 2014 Olympic halfpipe champion in snowboarding, took a nasty fall last month during the Winter X Games. He was diagnosed with a broken nose, not a concussion, and came to Pyeongchang with the hopes of competing. But after a day of training, he said it would be "totally unreasonable" for him to compete. A spokeswoman from FIS said under the federation's guidelines, a team's medical staff has authority to clear an athlete. She said FIS runs up to 15 events on any given weekend — it runs six sports at the Olympics, all of which have multiple disciplines — and that bringing independent neurologists to that many venues would not be practical.